It is that time of year again when I feel absolutely heartbroken about the amount of delicious pumpkin that gets chucked away while people are carving their Hallowe’en pumpkin lanterns. 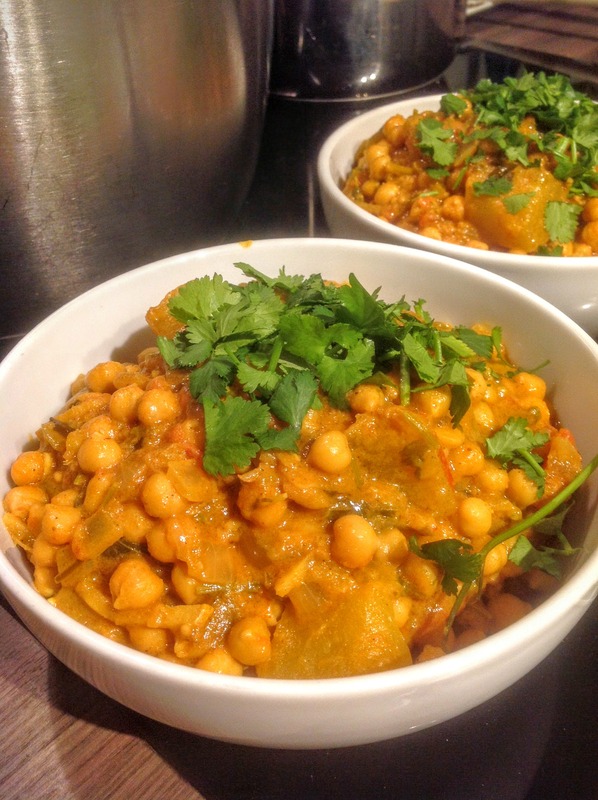 So this year, in an attempt to tackle it, I am going to share with you some amazing pumpkin recipes starting with my Pumpkin, Chickpea and Coconut Curry. It is a double whammy this one as it uses the pumpkin up as well as creating the most deliciously creamy curry for the cold and rainy days around the 31st of October. I promise you, this is much better than chucking away your pumpkin flesh! Although it might seem like a long time to cook something, remember that a lot of that is when it is cooking away on the hob. That time is great for you to get some R&R in and also for the flavours of the spices to develop. My Pumpkin, Chickpea and Coconut Curry is vegan too, so perfect for the whole family and for friends too. Perhaps you could make it for a get together or for a cheap supper with friends. Anything is better than chucking away the most delicious and versatile of vegetables! Are you carving pumpkins this year? What do you reckon to running up a curry from the insides? Do you have a favourite pumpkin recipe? 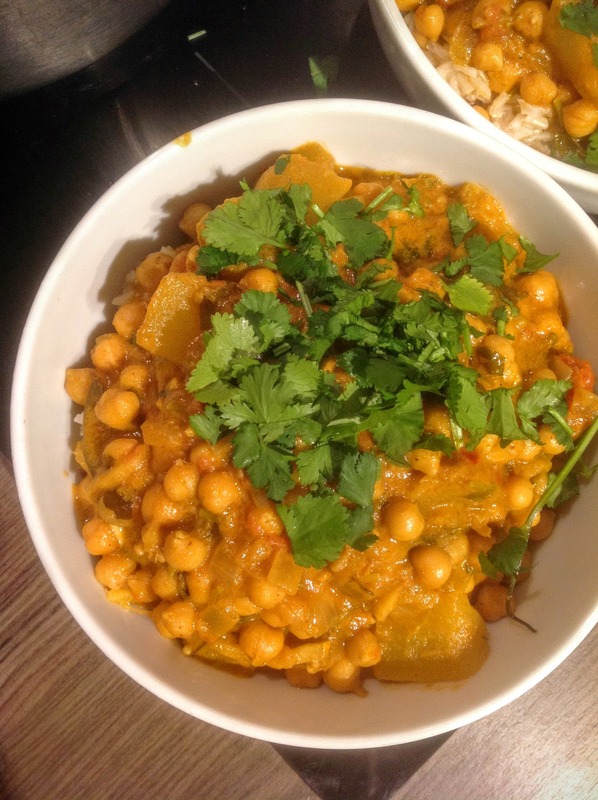 Don't let the insides of your carved pumpkin go to waste, make up this tasty and warming pumpkin, chickpea and coconut curry instead! see here for how to cook them in the microwave!